The 40th Ordinary of Council of Ministers of Education and Culture of the Central American Education and Culture Coordination of the Central American Integration System (CECC SICA) and the 28th Sectoral of the Council of Ministers of Education and Culture CECC SICA were held in San Pedro, Ambergris Caye for Ministers, Vice Ministers and Representatives of Education and Culture visiting from member countries. 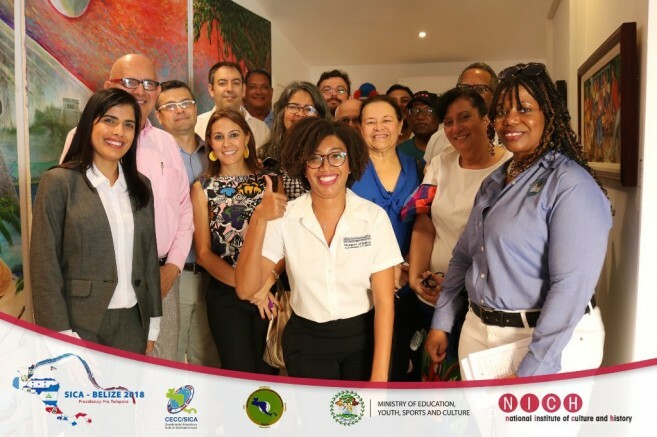 The National Institute of Culture and History (NICH), through the Museum of Belize and Houses of Culture, hosted a series of cultural and gastronomic presentations for SICA's Ministers of Culture from the respective Central American Countries and the Dominican Republic. The Ministers and Representatives of Culture were invited to the event at the San Pedro House of Culture (SPHOC) as part of the meetings. The Directors of NICH's Institutes were also present at the cultural and culinary presentations held at the San Pedro House of Culture. President of NICH, Ms. Sapna Budhrani, welcomed the delegation and highlighted the cultural diversity that is present in Belize. Mr. Mito Paz, the SPHOC Coordinator, spoke about a mural that was painted in collaboration with artists from Tulum, Mexico and draws attention to the formation of what is referred to as the “Mestisaje” translated literally as ‘the Mestizoness' of San Pedro and the movement of people from the Yucatan to San Pedro because of the caste war. The delegates arrived and were shown a Mayan Fire Dance, after which they were shown the mural as well as works of art from Belize's National Collection. The artworks were selected and curated by Ilona Smiling and showcased artists such as: Rachel Heusner, Pen Cayetano and Isaiah Nicholas. The works depicted Belizean history, architecture, lifestyle and culture. 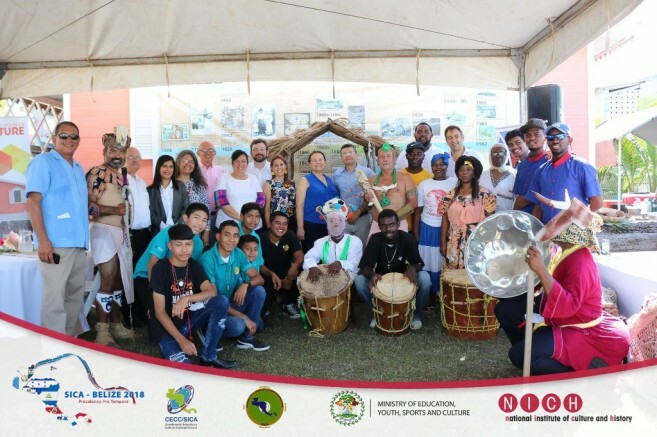 After the brief tour of the San Pedro House of Culture, the delegates were entertained by a number of musical presentations and dances from Pantastic 4, Charikanari Dancers and The Los Hijos del West Marimba Group. 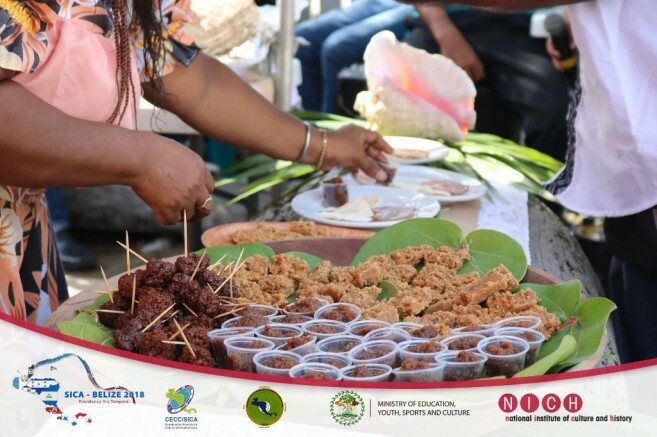 During those presentations, the delegation sampled local cuisines ranging from Hudut, Tamalitos, Ereba and Sahou to local sweets including Tableta, Wangla Fudge and Coconut sweets. 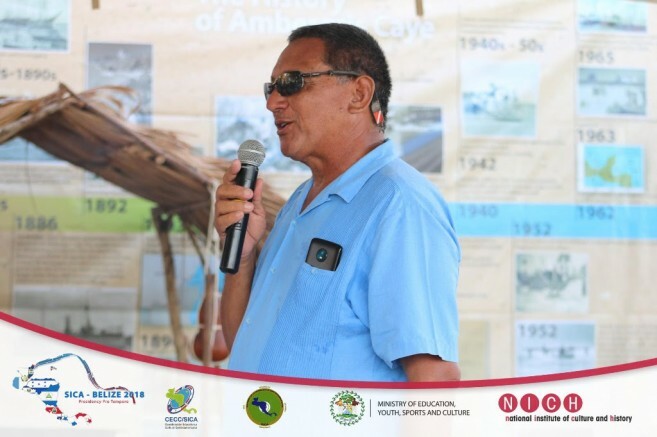 This presentation and visit to the SPHOC was done to showcase the cultural diversity and harmony which is alive and thriving in Belize and clearly manifested in the music, dance, food and art that were showcased. 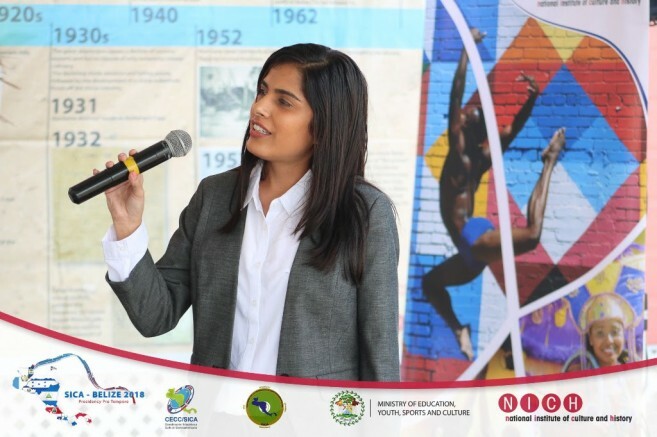 It also highlights the successes of NICH through the Houses of Culture, since all the presentations were sourced through partnerships made between cultural stakeholders and NICH. The presentations ended with a tour of the local artisan market in San Pedro.